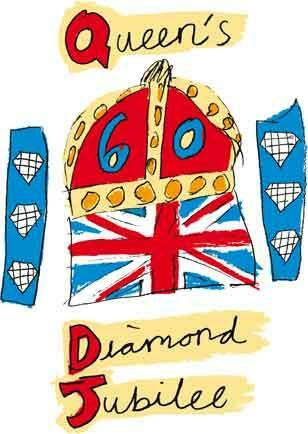 Come and join the Bath WI for fun and Jubilee Gorgeousness at Henrietta Park on Sunday June the 3rd from midday. 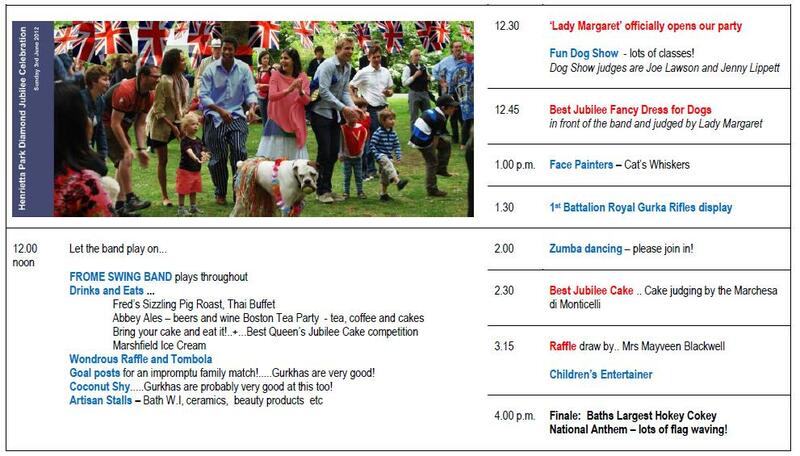 A swing band will serenade you as you enjoy your picnic and there will be entertainment galore for children and adults alike including a dog show and a demonstration by 1st Battalion The Royal Gurkha Rifles. The celebrations kick off at noon with the Frome Swing Band who will serenade us through-out the day. A range of food and drink will be avaliable from producers such as the Boston Tea Company, Abbey Ales and Marshfield Ice Cream. Fred and his Sizzling Pig Roast will also be making a welcome appearance! 2.00 – Zumba dancing – please join in! In true British style there will be a Wondrous Raffle and Tombola, a Coconut Shy and the Bath WI will be there selling our normal treats for your tummy! We hope you can all join us and make this a day to remember! For details on how to get to the park please click here.